Getting used to a world where we live and breathe internet, the term or experience of ‘connectivity’ is usually taken for granted. We are completely dependent on these digital devices and extremely addicted to this connected world. The accelerating influence of internet is seen in the way we communicate with each other and entertain ourselves. Internet of Things (IoT) has always been the much desired ecosystem where several physical devices (smart gadgets) are wirelessly connected to each other in same network. This technology has influenced our way of living drastically by integrating different technologies such as Bluetooth, RFID, Wi-Fi and Zigbee over wireless networks. In this blog, we shall discuss the prominent role of IoT in Logistics and warehouse management. 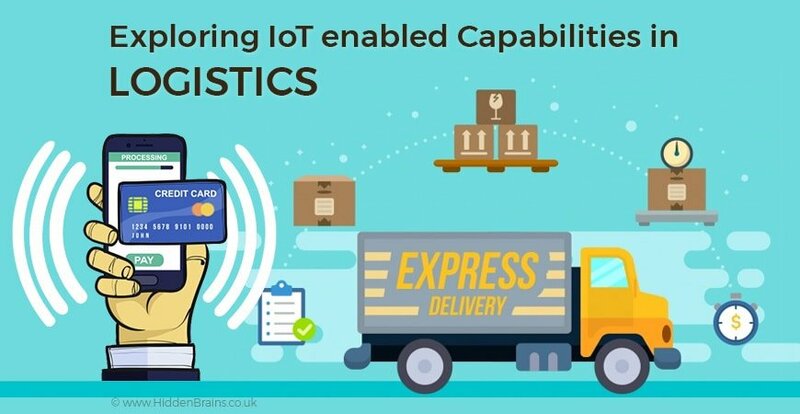 As a stated in a new market report on the IoT in logistics market published by Transparency Market Research, the global Internet of Things (IoT) in logistics market is projected to reach US$ 63,728.6 Mn by 2026 driven by exponential rise in IoT applications in logistics. Logistics operators, business as well as end consumers are seen the bright side of IoT when implemented to complement Logistics operations. 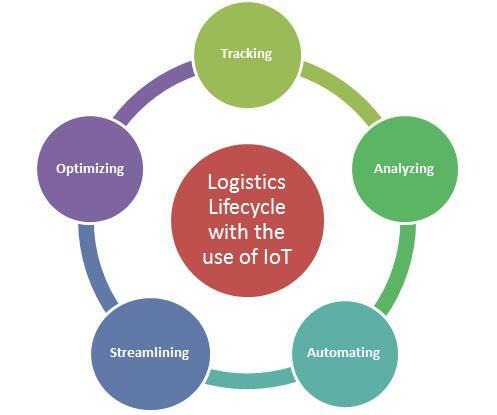 Experts identify areas in Logistics operations that can be automated with Internet of Things. Scrutinizing the processes involved in the entire logistics value chain, experts find a way out to integrate warehouse operations, freight transportation and final delivery with the help of an integrated IoT system. Some may argue that launching such IoT systems is expensive. However, when compared the benefits of this system with respect to safety and security of workers, their overall operational efficiency and improved customer experience, the cost at which it comes seems to be a reasonable deal. Automation several operations by programming devices to work as per a set of predefined rules in order to reduce human intervention, eliminate human error, improve quality and lower the costs. Such real time tracking of parcels and assets helps in optimizing the overall logistics operations lifecycle. 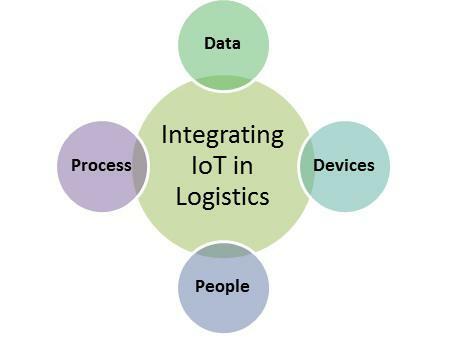 What Drives the Need of IoT in Logistics? Cloud computing and Big Data have made it possible to manage large data sets and analyze it using appropriate tools. While such technologies are now easily available, logistics industry aims to make the most of IoT to gather large amounts of data that could help them in refining operations for maximum benefit. Customers expect complete transparency and integrity control throughout supply chain management project. End consumers demand to track the shipment of their product, which is quite easy with an integrated IoT system in place. Reduce manpower for customer support related to tracking & shipment queries by providing end users with unique tracking ID to check real time status of the shipment. Optimum utilization of assets that are connected within an IoT network results in higher operational efficiency. Management of Traffic and Fleet: Vehicles are a valuable asset of logistic firm and play a significant role when it comes to traffic and fleet management. Transportation and automotive industries are investing heavily on connected vehicles so that the entire delivery system can be paced up with IoT. Monitoring of Energy & Resources: IoT capabilities are used in effective monitoring of electricity, water and natural gas consumption. It is possible to implement smart grid with an integrated IoT system that prevents disasters and also reduces waste. While Logistics operation requires utilization of quite a lot of equipment, it becomes mandate to keep a track and check status of each of them. Real Time Status of Equipment: Use audio and visual sensors on tracks to monitor vehicles and get real time updates on them. These sensors send notifications to IoT system on when and where vehicle reached from time-to-time. This reduces risks of delivery failure due to derailment delay or equipment failure. The prominent role of Internet of Things (IoT) in Logistics and warehouse management is gauged with millions of shipments that are moved each day, either through machines or people. Connecting different assets of supply chain in an organized way, IoT has proved to be a perfect match for this industry. Data collected in the process should be analyzed overtime to derive meaningful insights on optimizing the process, people, vehicle and operations. Experts of the industry are already researching on how IoT can unlock higher levels of operational efficiency to offer dynamic and automated services to customers. IoT is surely a disruptive trend in Logistics in the coming decade. Hidden Brains UK takes pride in serving Logistics industry enthusiasts with its next-generation IT driven solutions and amalgamation with trending technology of IoT. Know the prospects of your business requirements by requesting for a free quote today!